Le Meurice celebrates this year the 10th anniversary of the Meurice Prize for contemporary art. Since 1835, artistic creation has always been essential to the identity of Le Meurice. 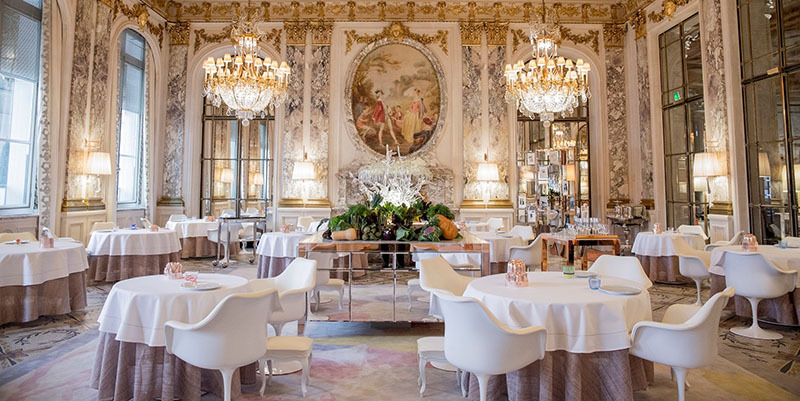 True to its heritage and its interest in the art of its times, Le Meurice founded in 2008 the Meurice Prize for contemporary art, and in doing so asserted its support of young artists. This act of corporate patronage is a non-profit initiative which each year provides financial support that will help an artist gain international recognition. To celebrate this anniversary, Le Meurice has decided to offer 1000 euros to each of the finalists, to support their creativity. The current portfolio includes the following hotels (in order of them joining the group): The Dorchester, London; The Beverly Hills Hotel, Beverly Hills; Le Meurice, Paris; Hôtel Plaza Athénée, Paris; Hotel Principe di Savoia, Milan; Hotel Bel-Air, Los Angeles; Coworth Park, Ascot, UK; 45 Park Lane, London; Le Richemond, Geneva; and Hotel Eden, Rome. PreviousPrevious post:FOOD & DRINK HAPPENINGS IN LONDON THIS SUMMERNextNext post:DINOSAURS, SHIRTLESS HUNKS, & A TEAPOT OF BUBBLES!